It's probably needless for me to say that technology is ever evolving. It’s amazing to see where we’ve come in the last 20 years when looking at the computers we work with and how we communicate, play and work. In the past five years, we've seen two areas that have been gaining a lot of traction: virtual and augmented reality technology (VR/AR). It’s fair to say that we’ve seen huge leaps in VR/AR when comparing even the last five years to the last twenty. Certainly, the underlying technologies like high-speed graphics, high-definition mobile displays and high capacity batteries have contributed to this boom, but also the diversity of applications the technology has brought to users. CAD seemed like a natural fit for VR/AR applications. Let’s take a look at what SOLIDWORKS has done with VR/AR over the years and where it looks to take it into the future. One of the key reasons SOLIDWORKS was able to gain its mainstream status in the fiercely competitive early years of the 3D CAD wars was its ability to import and export a variety of file formats. VRML (Virtual Reality Modeling Language) and STL (Standard Tessellation Language) have long been file export formats provided by SOLIDWORKS. With these polygonal file formats, SOLIDWORKS users could take their modeled objects and export them to use in downstream tools and applications. In addition to this, many platforms that create VR content now accept a wider variety of file formats to use in their native applications. 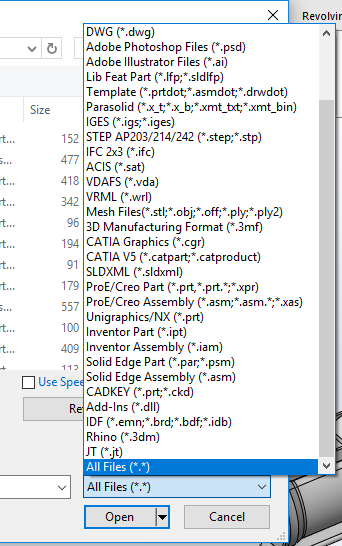 For the most part, SOLIDWORKS would only export geometry information. Some of the file formats also include additional information like color and appearance information. The mobile edition of eDrawings added in support for AR by printing off an AR code onto a sheet. Then, if you place the sheet on a table or floor and view the sheet through your mobile device’s camera, eDrawings will overlay the model over the sheet to scale. It adds more value to eDrawings as a communication tool as it not only gave you an idea of what the design looks like but how it relates to the environment around you. 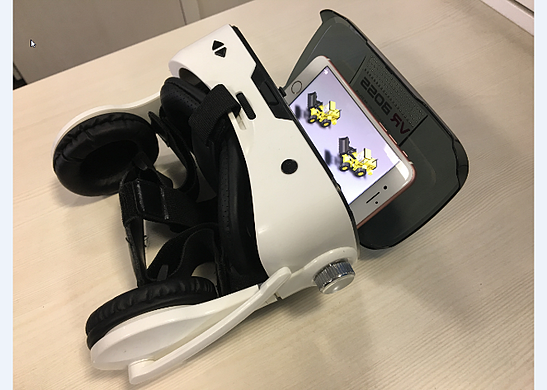 With the Google Cardboard gaining popularity in 2017, eDrawings included the ability to view your models in Stereoscopic 3D through the mobile application. For those who have constructed or bought a VR headset for your mobile device, this was a quick way to get your model in the VR environment. By simply selecting the option from the eDrawings mobile app, users could pop their mobile device into their favorite mobile device headset to enjoy seeing their models in VR! SOLIDWORKS’ new rendering tool, SOLIDWORKS Visualize, included additional capabilities to capture rendering in stereoscopic 3D. Once these renderings were opened in a VR headset or mobile device, users could view their photorealistic renderings of their models in 3D. The effect worked great for tabletop products, but it really shined when you combined it with rendered environments. 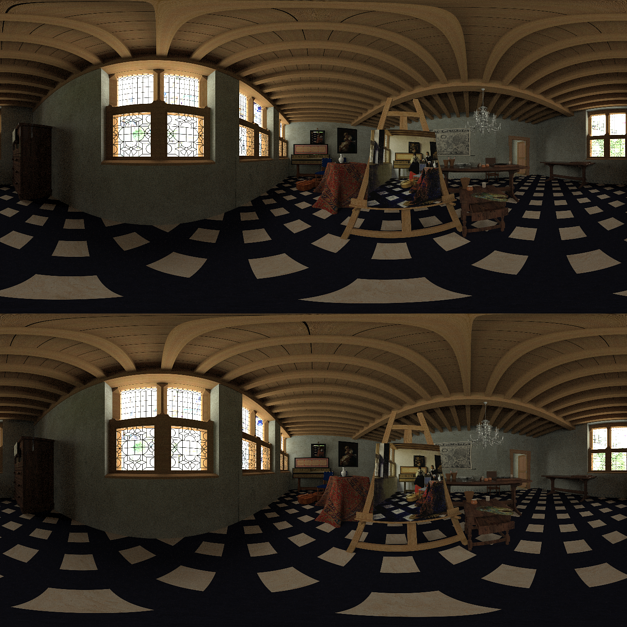 You could surround yourself with your models as it could display the environment as a stereoscopic 360 image. SOLIDWORKS hasn't washed its hands so VR/AR yet! The newest update includes different features and we will create another blog post in the near future to take a dive into the newest additions. In the meantime, we invite you to explore SOLIDWORKS Visualize and try some of the HDR features by yourself. Want to learn how you can try it yourself? Watch our On-Demand Webinar, How-To: Create Custom HDR Environments in Visualize.